Just yesterday, Bill Gates urged the top 1% wealthiest people on the planet to lead the charge of footing the bill for renewable energy, and offered to pay the first 2 billion himself! Slowly but surely, renewable energy is the future, and while a lot of people aren’t very receptive of the idea, and believe that installing a renewable energy system to power their homes, like solar energy is very expensive and not something that will pay itself off in the long run. However, that cannot be further from the truth. In fact, there is a constant rise in interest in renewable energy systems for both domestic and commercial purposes, and if you’re ready to make the shift, there are a few things you should be aware of. The first question most people ask themselves, is the dilemma between on and off-grid solar systems. Even though one setting or the other may sound like the ideal solution in theory, it’s much more complicated as to whether on or not off-grid solar panel kits make sense for a particular type of property. Before going more in-depth about the two types, let’s give them a brief definition. An on-grid system is attached to the power grid, which is beneficial if your panels can’t produce enough power by themselves. Off-grid solar panel kits on the other hand, are completely self-sustained, and are detached from the power company grids. Most people that install solar panels are motivated by the independence that comes with them. The off-grid solar setup means no power bills. This is especially beneficial in remote areas, where installing traditional means of power is a huge investment, or may be impossible altogether. Others, choose this option for reasons such as energy-consciousness. Simply put, producing your own power to spend by yourself gives you a clear understanding of how much you consume daily. This eliminates the inefficiency of distribution and you don’t feel any responsibility in how much carbon footprint the power company leaves behind. On-grid solar power is beneficial if for instance, you run a business that requires a lot of power to properly function. This way, you can use the energy from other people that are connected to the same grid as you are. Moreover, you could sell the power your solar panels gather up for profit. This is called net metering, and through this process you can save and earn money. When it rains, it pours. And when it pours, and your home has bad isolation, or it just pours too heavily, your home gets flooded, so what do you do? 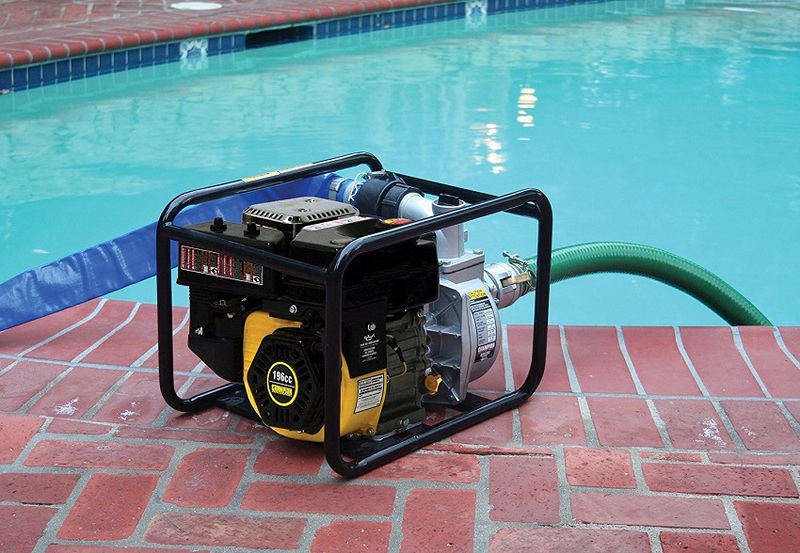 For starters, you can get a water pump to remove all the water and continue living a normal life. Pumps are devices that are capable of moving large amounts of water from one place (your home) to another (not your home). They’re oftentimes the first and last line of defense against unwanted water, and they’re definitely the best solution to removing it.